Not the usual bag of “dirt,” EcoScraps produces an honest-to-goodness soil-enriching compost. Any gardener worth their salt knows that you have to provide your soil with nutritious organic matter in order to keep it healthy, promote drainage, increase microbes and encourage earthworm activity. And there are few things better than an annual dose of a few inches of high-quality compost to do just that. Sure, you can make your own with kitchen scraps, yard waste and a bit of time. But there’s another option: EcoScraps Compost Mix, a ready-to-use organic brown gold made from landfill-bound recycled food waste from grocery stores, produce wholesalers, food banks and other suppliers. It’s an eco-friendly shortcut to nutrient-rich soil for home gardeners and the price tag is modest. 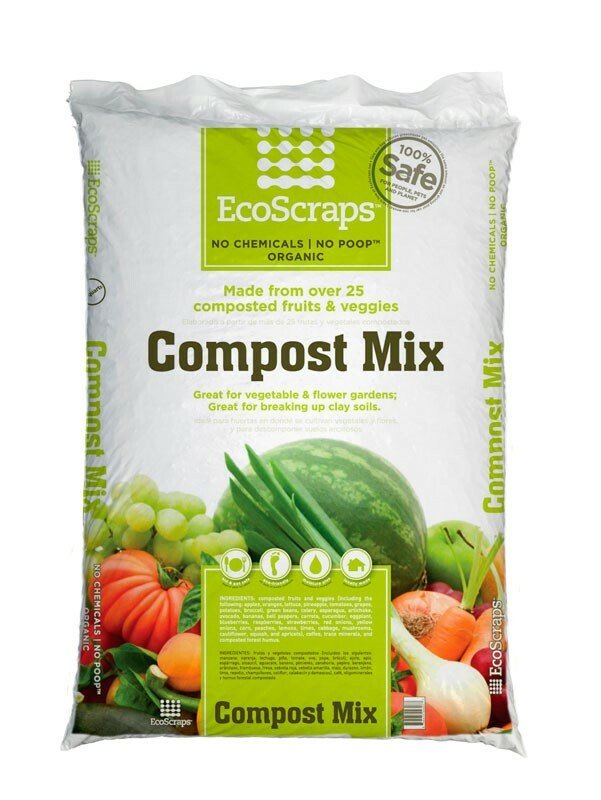 $4.99 for an 8-quart bag; available at Target stores nationwide or EcoScraps.com. This entry was posted in Garden, Garden Products and tagged compost, compost mix, composting, EcoScraps, EcoScraps Compost Mix, garden, garden soil, gardening, soil. Bookmark the permalink.